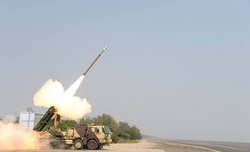 New Delhi: Ballistic Missile Defence (BMD) System of Defence Research and Development Organisation (DRDO) successfully scored a direct hit on incoming missile today at around 09:45 am from Dr Abdul Kalam Island off the coast of Odisha. The interceptor directly hit the target at an altitude of about 15 kilometre and destroyed it into fragments. 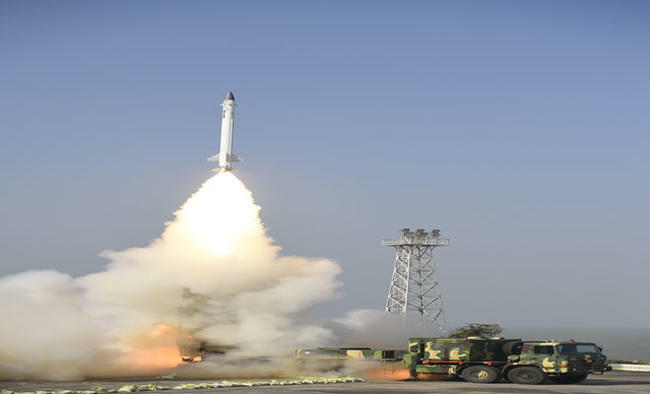 The spectacular success puts India in the league of a very few select nations world over in the arena of critical defence technology.Today’s direct interception is fourth in a row, where the missiles have scored a perfect hit on the incoming missile. In text book style launch, the incoming ballistic missile was launched from LC-III complex of ITR, which followed the exact path of intended ballistic missile. Radars located at different stations far-off, acquired the target, tracked them and passed on to the Master Control Centre (MCC), which generated the expected trajectory of the target and alerted the interceptor missile. The interceptor was launched from Dr A P J Abdul Kalam Island at appropriate time for interception, which was initially guided by the Inertial Navigational System and the radars. Later, the seeker took over after a proper lock on to the target and guided the missile towards the target. All the radars, Electro Optical and Telemetry Stations tracked both the missiles and recorded the final interception. 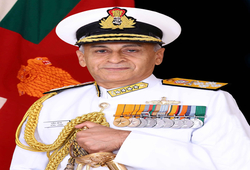 The event was witnessed by Vice Chief of Air Staff Air Marshal Sirish Deo and other senior officials of Armed Forces. 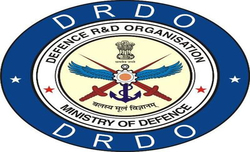 Directors of DRDO laboratories namely RCI, ASL, LRDE and ITR reviewed the entire launch operations. 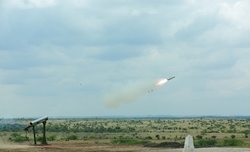 Scientific Advisor to Raksha Mantri & Director General (Missiles & Strategic Systems) Dr G Sateesh Reddy was present during the launch operation said that the repeat performance of the interception demonstrates the country’s professional capability in high technology oriented Ballistic Missile Defence. Chairman DRDO & Secretary Department of Defence Research & Development Dr S Christopher, congratulated the scientists behind the magnificent feat and said that the test paved the way for self-reliance. Raksha Mantri Smt Nirmala Sitharaman congratulated DRDO for elevating the country to few select nations having such BMD capability.